Modder Claims Guideline - Please Read! 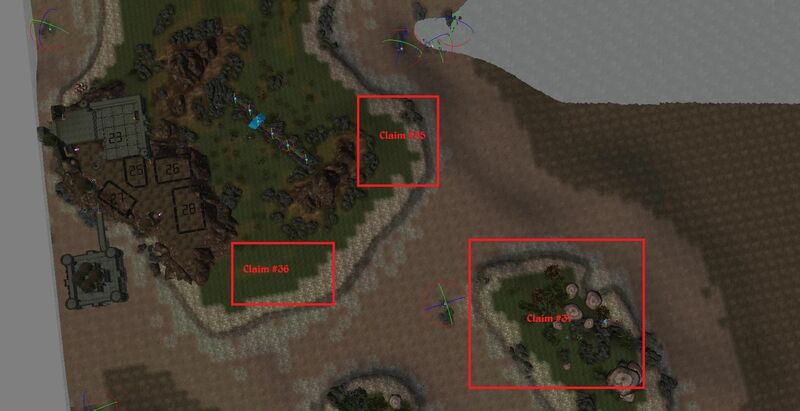 Here you'll find a complete list of guidelines for creating and submitting modder plot claims. Keep in mind that a modder claim doesn't necessarily have to use one of the pre-existing plots. You can make a modder claim that's entirely an interior cell (perhaps using Shannon's excellent interior landscape resources), or a modder claim that's actually a dungeon cave somewhere on the island. Really, you have full control over what you want your claim to be. It should also be noted that you can, if you want, include quests, dungeons, NPCs, dialogue, books, or anything else in your modder claims. Check out the announcement video for a visual guide on how to start modder claims (if you need it). You can find the Landmass File for ModTown 2015 here if you're having trouble downloading it from Melchior's post. Please note that while you can design the exterior of your plot however you want, you can't make any landscaping changes to it (i.e. terrain textures, vertex shading or terrain height). Due to the way merging multiple mod files works, these alterations would simply get overwritten during the merging process. 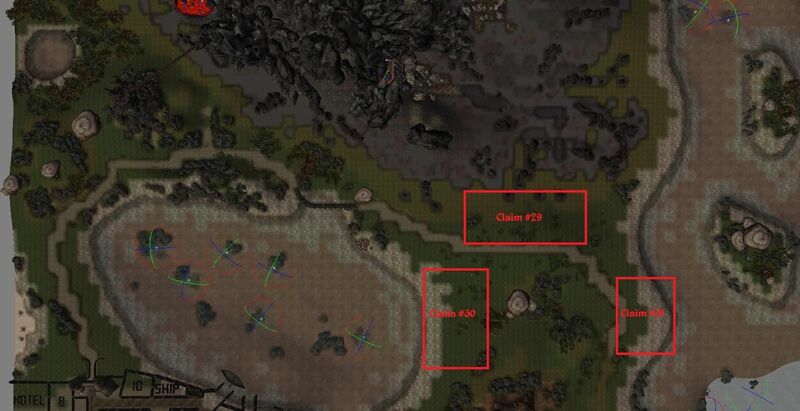 You can, naturally, remove the encompassing daedric walls and plot number. You can specify which areas you want to be certain textures though, if you so desire, and Melchior will implement these changes in the master file for you. 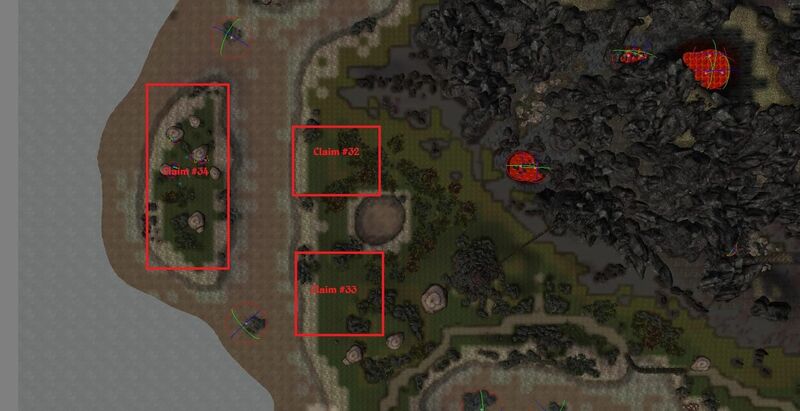 NOTE: As of December 29th, only plots 22, 38, 39, and 41-51 are still open for claiming! More plots will be coming soon! Check the new map at the bottom of this thread for plot locations! 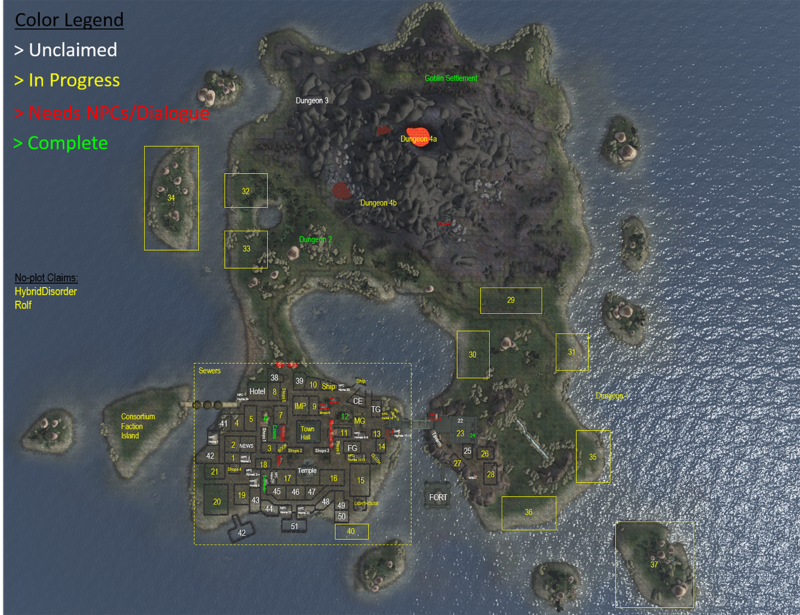 After you pick out an unclaimed plot from the below map (or don't, since your modder claim may not involve a plot), please create a new thread here on this forum board with the following information. Thread Title - Include the Plot # you're claiming and your name. Note: If you're going to use any modder's resources in the exterior part of your claim, please post a resource request in the appropriate forum with a link to the resource package (this helps us keep track of everything). You can also include any other information in your topic post, such as your intended designs for the plot, ideas you're planning to explore, and any other extra features (like quests or dungeons) you'd like to include. You can also update your thread with your progress over time and include screenshots and the like as you so desire. When you're done with your claim, just leave a new post "Ready for File Merging" and it'll be merged into the main master file (after a quick review to check for minor bugs and the like). Note: Because of the number of plots we have and where they're located, we require that you please post an update of some sort at least once every month. Our goal is to get ModTown finished in December, so if you need help with a claim or need to abandon one, just let us know! For modder plot claims, the best way to start is to create an empty esp (load up the CS, select the Morrowind, Tribunal and Bloodmoon masterfiles, load them, then hit save and name your esp). Once you've done that, load up the CS again, select the Morrowind, Tribunal and Bloodmoon masterfiles, but also select the ModTown 2015 file and finally select your empty esp as the ACTIVE file. This will allow you to build on the plot in question without really changing anything to the ModTown 2015 file. If you have any questions about how to submit modder claims or anything else, please post them below! Re: Modder Claims Guideline - Please Read! Given the amount of plots, it'd be best for me to either merge them all into the exterior file all at once or in batches to avoid doing things piecemeal. Good point Melchior, I do think it'll be a good idea to merge files in batches to save time. Maybe every 5~10 finished modder plots and public buildings you could merge them into the master file and update the archive. Also good point on the topic title, I'm planning to do something similar for the public buildings section when more files have passed review. Open the console with ~ and type coc "ModTown 2015" to teleport to the island. thanks! im exited to see where this project will go! People have been using different schemes. The "official" prefix is MT15_. However, I used md15_ on my plot just because I'm a rebel. Just use something unique. I'm not very concerned about people using their typical modder prefixes in this project. UPDATE: Here's the new current Claims Map, showing which plots have already been claimed and which ones are still open for the taking. We're really going to need to work on adding some new plots, because right now we're almost out. Thanks for the update. I was curious about this. Would you guys be cool with me claiming a plot without any info whatsoever? :p I'm not gonna be able to mod for a while, until I set up the PC, so I obviously can't decide what I'll do with it until I check it out in cs? Oh aye, that's fine, and a few people are doing that already where they setup claims with the intention of filling them out later. Just try to leave an update every 30 days or so, such as a planned design or something so we'll know you still plan to work on the plot. I need a claim large enough to put a large hill or small mountain. I need to build it up just tall enough to "believably" transition the area from green grass to Bloodmoon snow...at least, believable if some sort of magic were involved. On top of that will be a lone Nord storage shed (the little round ones) inside of which is a portal to my house mod. I really don't care if my claim is on the main island, on an outlying island...or even if it involves raising up another bit of land some distance off shore. Of course, the irony is, my house mod is in a private "Outer Realm" where there is a nice sunny island, along with my idea of a Hawaiian Christmas! But....you know, since it is "Christmas" and all in my mod...it should be cold as you approach, should it not? Sounds like it'll be a really interesting place to visit! There's not anything going on off the north coast. I would suggest raising a new island there. Sounds good. I will make it so. I even have a nice bridge that I think will look good there. The Newspaper was also something that would be neat to have, but we have not had any entries for the newspaper or anyone claiming the property. Thoughts? Was the Temple that istreddify was working on ever uploaded? Who's working on that now? Autoclock: there is a cave entrance near the Tower of Baelgon that I noted as being part of the Assembler's lair claim. Does that make sense? Did you intend to make use of that back entrance/exit?